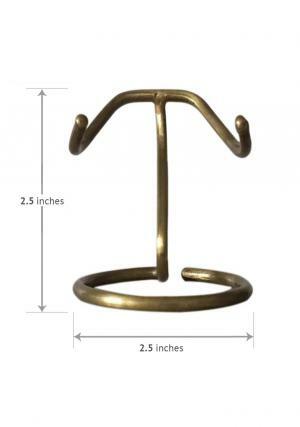 Nickel/Gold rose heart keepsake mini urn for cremation ashes is made of pure brass metal with decorated rose at the center of the mini heart memorial urn. 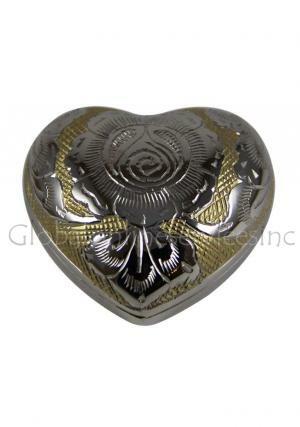 Heart keepsake rose urn has a beautiful finish in nickel on the rose with decorated beautiful leaves in nickel and gold blush surrounding the rose and leaves on face of the funeral urn. 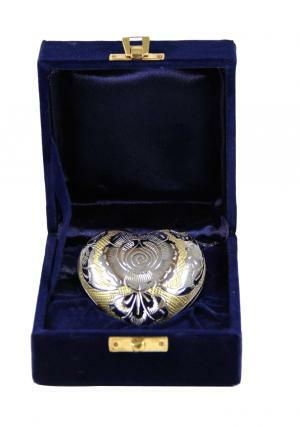 Small keepsake heart funeral urn is hand crafted from skilled artisans with beautiful representation of gold work & flower design on heart urn. 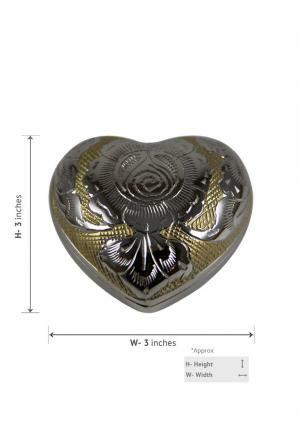 The other side of the mini heart urn is finished in reflecting nickel with a screw threaded lid for insertion of ashes and secure the funeral ashes inside the small rose heart cremation urn. 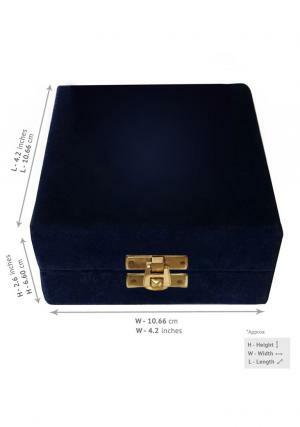 The heart shape mini keepsake urn is measured with following dimensions height of 3 inches and width of 3 inches. 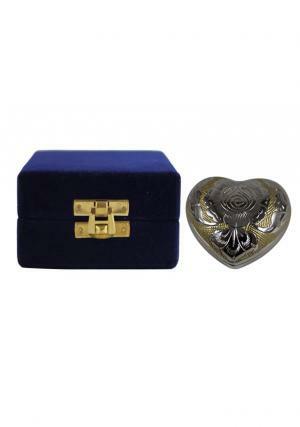 The heart shape urn weighs approximately 0.48 Kg and capable of holding 4 cubic inch of volume ashes.